Highway safety advocates are urging lawmakers to pump the brakes on the development of driverless cars. The group, Advocates for Highway and Auto Safety, is calling on Congress and federal officials to strengthen safety regulations related to autonomous vehicle technology following the release of a public opinion poll, which shows that Americans –regardless of age, political preferences or geographic locations – want increased safeguards. 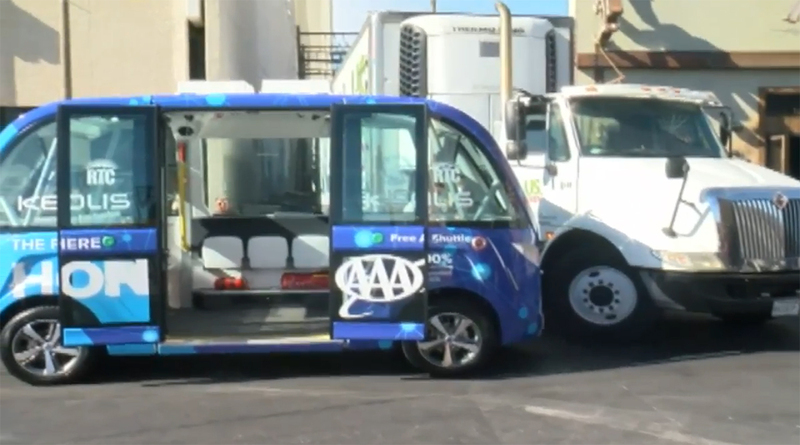 “It is critical that the U.S. Department of Transportation implement a statutory mandate and issue vehicle safety standards for autonomous cars,” said Joan Claybrook, a former administrator with the National Highway Traffic and Safety Administration for the Carter Administration, in a conference call with reporters Jan. 12. “The last thing the public wants is to have DOT standing on the sidelines, allowing auto and tech companies to build and sell cars that have new technologies that do not have to meet minimum government requirements. “Congress needs to wake up and insist that DOT acts. Otherwise, it will not do so,” she added. The survey found that 64% of drivers have a concern with sharing highways with vehicles that drive themselves. And some 73% of respondents want the U.S. Department of Transportation to develop safety standards for the new features included in autonomous vehicles. The survey was conducted via telephone and Dec. 7 to 10, 2017, surveying 1,005 adults in the continental U.S. Questions ranged from gauging respondents comfort with sharing the road with AVs to determining support or opposition for regulations. Autonomous vehicle development and testing has clearly entered the fast lane as some 20 states now allow some form of testing. California alone has permitted the testing of dozens of vehicles by 49 companies, according to the California Department of Motor Vehicles. Some states, like Arizona, have taken a decidedly “open for business” approach to autonomous vehicles, where Uber and Waymo have been actively testing AVs on public streets. Meanwhile, Congress has voted overwhelmingly to ease the development of AVs, and the U.S. Department of Transportation has taken a largely non-regulatory, industry-friendly approach to self-driving cars. All of this, regulations advocates argue, flies in the face of the wishes of the public, according to the survey’s results. “In general, the results of the survey illustrate the widespread concerns the public has with driverless cars, and a strong desire for a hands-on approach by the federal government,” said Shaun Kildare, director of research with Advocates for Highway and Auto Safety. For its part, states stress safety around AVs is paramount. And in California, the state has stepped in to begin developing safety protocols, said Jessica Gonzales, a spokeswoman with the California Department of Transportation, who was careful to add she has not yet seen the survey. Advocates for Highway and Auto Safety say a patchwork of differing state regulations does little to ensure across-the-board industry safety, which can only be achieved through the establishment of broader federal guidelines. “We need Congress to step up. Now is the time to do it. We need some leadership,” echoed Cathy Chase, president of Advocates for Highway and Auto Safety. Officials with the U.S. Department of Transportation did not immediately return a request to comment on the survey. “Safety is the first priority of the U.S. Department of Transportation. And obviously, Elaine Chao doesn’t understand that,” she added.